Learn How to Get Paid for Your Opinions! Get the latest news and reviews in your email. Enter your email address below to sign up. Whilst paid surveys are no longer restricted to U.S. residents; they are probably the only ones to have a realistic chance of earning a full time income for completing surveys and other market research work. The companies listed on this page are mainly looking for U.S. residents only so don't forget to also check the US and Canada page and the international page for more sites to visit. Before joining any of the programs, consider getting yourself a separate e-mail address. My own personal recommendation is gmail but there are many alternatives you can try. I'd also recommend you download a copy of Roboform. This free software can be used for auto-filling registration forms greatly simplifying the application process for the survey companies you'll be joining. In addition it can also remember all the passwords for each of the sites you join. Find out more from Roboform. If you want to be informed whenever anything is added to this page, just add your e-mail address in the box. Your address will not be used for any other purposes. Inspired Opinions members earn Opinion Reward Points for being active members of an online market research community. Inspired Opinions reward you for your opinion, not just when you participate in research but also when you are active in other ways, such as Profile Updates and many other activities that are promoted from time to time. Payment in Amazon vouchers. MyView is a global community of expert individuals who express their open, honest, and valid opinions on a wide range of topics. By experts, they mean folks just like you who are knowledgeable or passionate about almost any topic. Gaming, Business, Family, Movies, TV, Books, Technology etc. Cash payments for each survey completed. Survey Spot Internet panel allows members to share with researchers their opinions on products, services, or issues of the day. To thank members for their participation, SurveySpot draws $US10,000 in cash awards each month. Panelists receive one entry into the prize pool for each survey they complete. In addition to being entered into the sweepstakes drawings, some surveys provide individual rewards, usually in the form of cash. Whilst this means you don't get paid for every survey, you do have a good chance of winning. SurveySpot recently awarded one lucky winner $10,000 for a Hawaiian vacation and I've received 2 cash prizes from past surveys! As a member of Springboard, you will have the chance to make your opinion count in boardrooms, government and the media. You earn Survey Dollars redeemable for cash or charity donations and will be entered into the $1000 Prize Draw just for joining. Most of their surveys award between $0.50 and $5 if you qualify and complete them. Open to US residents over the age of 16. They are particularly in need of male participants between the ages of 18 and 34. Toluna is slightly different from other survey sites I've come across in that you don't have to rely on getting invitations for completing surveys, but have several other ways of earning points or getting free items. You can either exchange your points for cash or vouchers or use them to buy tickets in the monthly lottery. Also open to Canadian Residents. CadaCabeza is a new US survey site for Hispanic US residents. Complete survey and earn points, exchangeable for cash; 1000 points are worth $20. In most cases, a survey is worth 100-200 points, but the precise number will always be written at the top of each study. You can earn extra points recommending friends. Open to Spanish speaking Hispanic US residents 6 years of age or older. Site is available in both Spanish and English. Cada Cabeza es un lugar donde miembros apasionados y activos de la comunidad latina ayudan a darle forma al futuro del mercado estadounidense a trav�s de encuestas en l�nea. Es un lugar para discutir y hacer que nuestra voz se escuche, para extender la innovaci�n hacia la comunidad de habla hispana, as� como para aprender y obtener acceso a la informaci�n sobre las cosas que nos interesan. Lo m�s importante es que Cada Cabeza es una comunidad viva y est� conformada por cabezas como t� en todo el pa�s. Compartimos intereses comunes, disfrutamos al compartir nuestras opiniones y completar encuestas de investigaci�n. Discutimos acerca de los productos m�s nuevos y los asuntos que afectan a nuestro mundo. Y lo mejor de todo, la inscripci�n es gratis y entre m�s participes puedes obtener recompensas. Usted ganar� puntos cada vez que conteste una encuesta. En la mayor�a de los casos, una encuesta vale de 100 a 200 puntos, pero el n�mero preciso siempre estar� escrito en la parte superior de cada estudio. Por cada 1,000 puntos que recolecte, recibir� un cheque de $20 d�lares. Ganar�s 100 puntos una vez que tu amigo o amiga se una al comunidad y complete su primer encuesta. Debes tener al menos 6 a�os para unirte a Cada Cabeza y vives en los Estados Unidos. Nielsen Digital Voice Research Panel is a global leader in Internet media and market research. Nielsen Digital Voice Research Panel, part of the Nielsen family, which has long been considered the industry's global standard for Internet and digital media measurement and analysis. Whilst Nielsen family members have been influential in determining the popularity of television programs for over 50 years, they are currently looking for internet users to participate in Nielsen's panel for the Internet. Today, they are asking a select group of people to join the Nielsen Digital Voice Research Panel to help them chart the course of the world wide web of tomorrow. It's free, it's easy to signup and everyone over the age of 18 years can participate. Panel members are asked to fill out a short profile and download software to enable the company to understand how different people use the internet and to send you relevant surveys. To thank you, you are rewarded with the opportunity to win money and prizes including the chance to win up to $1,000 every single month. Each month, over 400 members are winners so you have a real chance of regular wins. There are several ways to earn additional entries and increase your chances of winning including "Extra Credit" quizzes and surveys. Watch & Tell TV Panel Are you a TV buff? If so, join the Watch & Tell TV Panel and earn rewards for your opinions. Ask anyone working in television and they will tell you one simple truth: There is no secret formula for a hit show! As trends and technology continue to influence what people watch (and how they�re watching it), industry leaders, networks and studios the world-over must rely on the views and opinions of viewers to assess what�s working, and what is not! And they need your help� ...tell them what you like, what you dislike, what you�d like to see, and you will earn rewards for doing it. For every survey you complete, you will receive rewards, which can be redeemed for a number of options. When you are ready to cash in your rewards, choose from an expansive list of rewards in the Rewards Catalog! PineCone Research doesn't allow you to sign up directly through their site but do occasionally place banner ads around the Internet from time to time inviting new members. This is one of my favourite panels so I'd strongly recommend grabbing the chance whenever you find a banner. If there isn't one above, check back regularly. Once a member, you can expect to be called upon to answer a survey once or twice a month, for which you rarely appear to get screened out. You are usually paid $3 via Paypal or check for each one. In addition, several surveys then offer you the chance to test new products, and you're then sent a full size product to try out. I've received full size cleaning products, drinks, chips, confectionery, sauces and more. Opinion Outpost is a survey research data collection company. They work with leading marketing research companies all over the world as well as many Fortune 500 companies. You earn Opinion Points for each survey you complete. The number of Opinion Points possible will be displayed with each survey invitation or on the opening page of the survey. Opinion Points are redeemable for cash. The Refer-A-Friend option allows you to invite friends and family to join the research panel at OpinionOutpost.com. You earn Opinion Points for each person you refer who joins the panel and completes at least one survey. Panel members must be at least 18 years of age and reside in the United States or Canada to participate and join the panel. Canadian residents can join Opinion Outpost Canada (English) or Opinion Outpost Canada (French). Join ZoomPanel and earn points, prizes or gift certificates when you complete eligible surveys. The ZoomPanel exists strictly to conduct online market research for large consumer products companies. They may want to know what you think about new products that they are working on or may ask for your point of view about package designs, television ads, etc. Panel members will be invited to take a survey no more than 4 times each month. Some surveys offer ZoomPoints (exchangeable for Amazon vouchers or gifts in their online catalogue); some offer prizes; sometimes sweepstakes entries are your reward. Earn your first 50 points just for signing up. As a member of Consumer Village, you have the opportunity to participate in far more ways than most panels can offer. Not only are you be able to take more surveys but you earn points every time which are redeemable for amazon.com gift certificates. You also have the opportunity to constantly interact with members of this private online community. Members may engage in chats with thousands of other consumers � on current events, trends, products and services � or just about anything you want. Your opinions also make a difference in another very important way. Not only do you help leading manufacturers and Fortune 500 companies develop new products, but you also help raise money for charity. Gongos Research, the compan behind Consumer Village, will match 5% of all points earned for donations on behalf of Consumer Village. They let you know which organization the money is benefiting so the more you participate, the more you earn and the more you contribute to those in need. Panda Research is looking for people to participate in surveys and offers over the web. Many of our customers are willing to pay incentives. They range from cash, prizes, and drawings for your opinions. 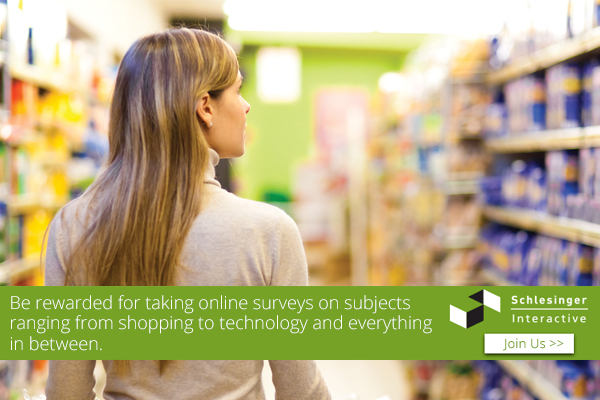 Incentives for online surveys are usually in the form of cash, product samples and/or gift certificates. The type and amount of incentive vary from $1 - $75 or more and are based on the type and size of survey and offer, the respondent profile required by the contract. Earn $3 just for registering. Run by The iD Factor, Rewarded Opinions is an online community that rewards Americans for taking part in online research. Respondents can receive between $1 and $75 for participating in research ranging from polls, questionnaires or online focus groups. Sign up to the panel is very simple and you can start earning rewards the moment you activate your account. Each point is worth 1 cent, so completing a survey for 50 credit points will reward you with 50 cents. Once you have reached 2000 credit points, you are able to cash your points in for actual cash. Open to US residents aged 13 and above. Join the Palm Research panel and get paid to take surveys, participate in focus groups or test and review different products and services on the internet. You are entered into a $50,000 drawing for every survey taken and can take a survey every day. In addition to specific higher paying surveys, every day they send you e-mails inviting you to 2 surveys paying $1 each and from my experience I tend to qualify for at least one of these most days so $20 a month from this site alone is easily achievable. Once your account reaches $10 you will be able to redeem your reward in the form of a gift certificate. Alternatively you can donate your rewards to a participating charity. Open to US residents over 16, they are currently particularly in need of members aged 16-24. OpinionWorld Business is a global community of business professionals who share opinions and provide decision-making assistance to market researchers and business leaders. Membership gives you exclusive access to a community of business professionals. Apply now and benefit from the rewards and learning opportunities. When you join OpinionWorld, and every time you participate in one of their surveys, you earn valuable SurveyPoints which can be redeemed for a variety of awards, including airline miles, gift cards and high-quality executive merchandise. GlobalTestMarket has a very active survey division and requires participants worldwide over the age of 14. The views of those under 14 may be sought but the invitation will go to the parent for the child to complete. You earn "marketpoints" each time you respond to a survey request - the closer you fit the demographics for the survey, the higher the points earned but you'll always earn 2 or 3 even if you don't qualify at all. A typical survey of 30 questions that takes approximately 12 minutes to complete will earn 60 to 80 MarketPoints. You can also earn extra points when you refer others. Each point is worth $0.05 and you need 1000 points to qualify for payment by cheque. By joining the Ipsos i-Say Panel, you will automatically be entered into the "New Member" Sweepstakes for $1,000! In addition, each month you're on the panel, you'll be entered into the monthly half & half draw for $250 with an additional $250 donated to the charity of your choice. Each survey gives you the opportunity to win valuable cash prizes or merchandise. Some of the surveys offer the chance to see new products or services from companies before the general public does. Their clients are some of the world's largest computer, consumer goods, automotive, food manufacturers and web based companies. Become an VIP Voice panelist (formerly NPD Online Research) and you can win cash for telling some of the world's top companies what you think about the products you buy, places you eat, music you listen to, and more. Just fill out a brief Member Profile Survey and you'll instantly be entered to win $1,000. In the coming months, you'll be sent e-mails inviting you to quick surveys. Each survey is a new chance to win cash. Founded in 1967, the NPD Group is one of the largest and most trusted research companies in the world. Open to US residents over 18. For almost 30 years, McMillion Research has provided the highest standards of ethical and quality oriented data collection. They are now taking their expertise online. 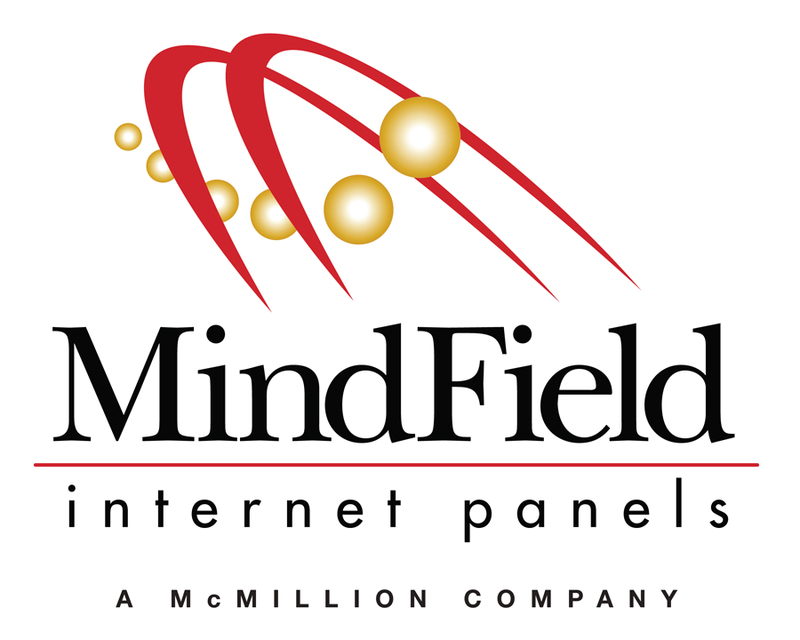 Sign up today with their online panel, Mindfield Online Internet Panels and you'll begin receiving opportunities to complete online surveys. You are paid cash for your time completing surveys and have opportunities to be entered into drawings for many prizes like IPODS, IPHONES, Laptop Computers, and much more. The purpose of this research can cover many areas, from testing new food products in the comfort of your own home to surveys about world events and other hot topics, children's toys and games, automobiles, and just about any other topic you can think of. Go to http://mindfieldonline.com/register to join today and starting earning extra money. They also recruit for specific area related focus groups and in-person surveys. When you join Vindale Research you'll receive requests to review products or services. You decide which products you want to review, and then evaluate the product and fill out a short survey based on your experience. Vindale Research pay cash for each survey completed. You must be over 18 to join. By registering with Memolink, you can earn points not only from completing surveys (new surveys all the time) but also by visiting Websites, sampling products, making online purchases, and more. Redeem your points for gift card or cash rewards. There are many point-earning opportunities across the site that don't require you to spend money. Check out Memolink Trivia, Surveys, Site of the Day and the Easy Points section to get started. You can earn a reward without ever spending a single dollar. Page 2. Page 3. Page 4.